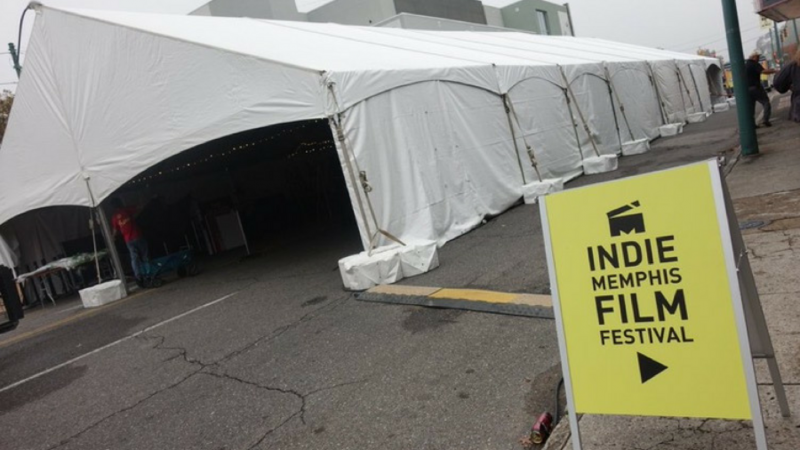 It seemed only fitting Indie Memphis chose to build a big tent at the center of this year’s 20th anniversary festival, right in the heart of Overton Square. After all, the organization has spent the past two decades showcasing a diverse, inclusive range of filmmakers’ voices, and this year was no exception. Strong entries from women and people of color were well-represented throughout the six-day festival, as well as films focused on LGBTQ stories, the experiences of immigrants, military veterans, and life in rural America. In a year marred by political division and the vilification of otherness, it was refreshing to see so many different kinds of people casually mingling under the same big tent. And numbers don’t lie: the festival’s record-breaking, 12,000+ attendance is a powerful argument people are connecting with what Indie Memphis is sharing. In addition to narrative and documentary features and short films, the festival delivered music videos, discussion panels, live music and a full-blown block party -- many of these activities open to the general public and free to attend. In the past couple of years, Indie Memphis has begun incorporating more locations into the festival’s lineup, including Malco Ridgeway Cinema in East Memphis and encore screenings at the Malco Collierville Towne Cinema. Beyond making the festival more accessible citywide, the move to include areas outside of downtown and midtown has also given the organization the opportunity to increase the number of films it can program. More screens = more screenings. 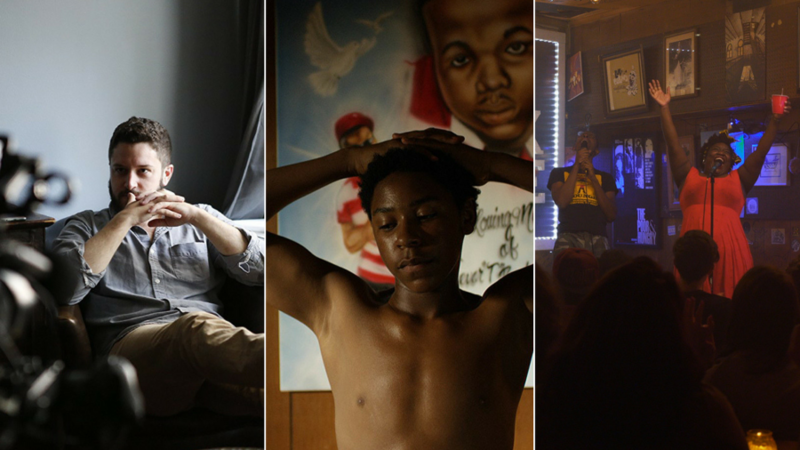 Never inclined to shy away from grit, Indie Memphis punctuated its 20th year with several films exploring themes like injustice, grief and poverty. Documentaries like The New Radical and Working in Protest presented diverging concepts of people exercising dissent and challenging authority. Narratives like Love After Love, Dayveon, and Last Flag Flying each introduced a family struggling to cope after the deaths of loved ones. Even the comedies this year packed a tart bite, like Lemon’s portrayal of a deeply dysfunctional man facing an existential break or the debut of the first four episodes of the You Look Like a Comedy series, based on the eponymous live monthly show where insult comics battle head to head, mining laughs from spite. Ultimately, this year’s programming deftly reflected our collective anxieties about the world. Sometimes, there were silver linings. Mostly, though, there were reminders to keep fighting. 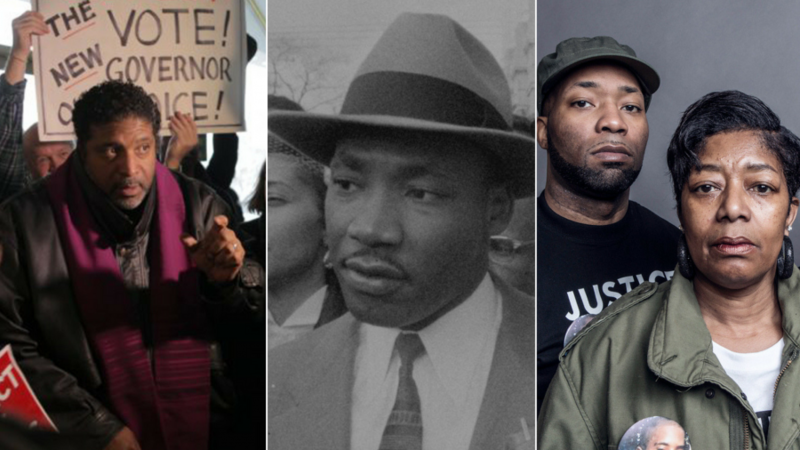 Indie Memphis presented a special slate of films in partnership with The National Civil Rights Museum as part of the MLK50 project, a yearlong event series commemorating the 50th anniversary of the assassination of Dr. Martin Luther King Jr. Largely documentary-driven, the films in this compelling lineup told stories about the black experience in America across multiple generations, often through the lens of individuals, groups and families fighting against racial injustice and systemic oppression. The Civil Rights Museum presented a special award, Best MLK50 Hometowner Short, to director Matteo Servente for his documentary, An Accidental Drowning. Indie Memphis closed down a block in Overton Square to invite the public into festival programs, like industry-focused panels and music video showcases. New to the experiential mix this year was public art created specifically for the weekend’s festivities. Local artist/composer/photographer, Christopher Reyes, designed and built a pyramid comprised of steel panels bearing intricate geometric patterns, each individually cut with a laser and then welded together to form the structure. Illuminated by colorful LED strips, the piece proved a big hit with attendees, many stopping to take photos of it or in it. Featuring a series of videos shot, produced and edited by Savannah Bearden, this year’s award show turned an anniversary pun based on 90’s tv into hilarious vignettes starring some of the festival’s most beloved personalities. Presented as “audition tapes” of potential awards show hosts, the audience watched as local filmmakers, festival staff and even one Rainn Wilson explained their unique hosting qualifications, read snippets of cringeworthy, 90210-esque dialogue and opened themselves up to mock scrutiny -- all for an ostensible shot at hosting the 20th anniversary awards show. 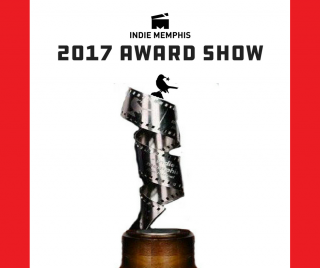 RocketFuel is a proud sponsor of the Indie Memphis Film Festival, and several members of our team contributed time and energy well beyond the close of the workday to help make it a success, especially Brighid Wheeler and Katie Mars. Independent of her role as RocketFuel's Director of Operations, Brighid serves as Indie Memphis' Shorts Programmer. So, we get a ringside seat for all the hard work, creativity and mindfulness Brighid brings year-round to the task of curating films and working closely with filmmakers. It's a daunting process, especially as the festival draws near, but the results are always impressive. Katie, our Senior Social Media Strategist, has been deeply involved with the festival's outreach and promotional efforts for four years now, providing her strategic and tactical social advertising expertise to help Indie Memphis grow new memberships and reach new audiences year over year. If you've "liked" or "shared" something posted by Indie Memphis in the past few months, there's a 99.9% chance it was created by Katie. Lindsey Butler, our Copywriter/Creative Strategist, served on the narrative shorts screening committee, contributed copy to the social media campaign and assisted with the awards show, and Alli Dillard, our Account Manager, experienced her first year of Indie Memphis participation by also serving on the shorts screening committee. The rest of our team enjoyed attending an amazing festival and look forward to seeing what's in store for next year! Indie Memphis is more than just an annual festival. The organization offers year-round programs, including Indie Wednesday feature film screenings, monthly MicroCinema short film blocks, as well as the filmmaker-centered Shoot & Splice program, where industry professionals talk shop about a variety of topics. Recently, Indie Memphis even launched a formal youth filmmaking mentorship program to help young auteurs hone their craft and tell their stories. So, whether you want to watch films or make them, Indie Memphis has a program designed with you in mind. Head over to their website to learn more or become a member.